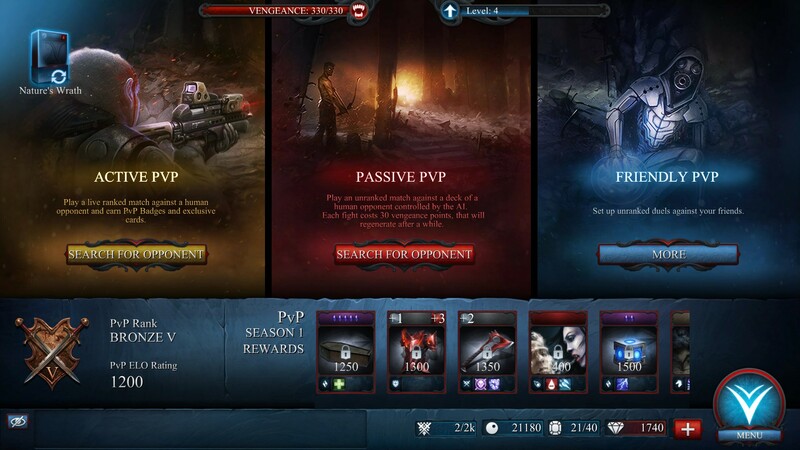 -Pay to unlock = Pay to win? 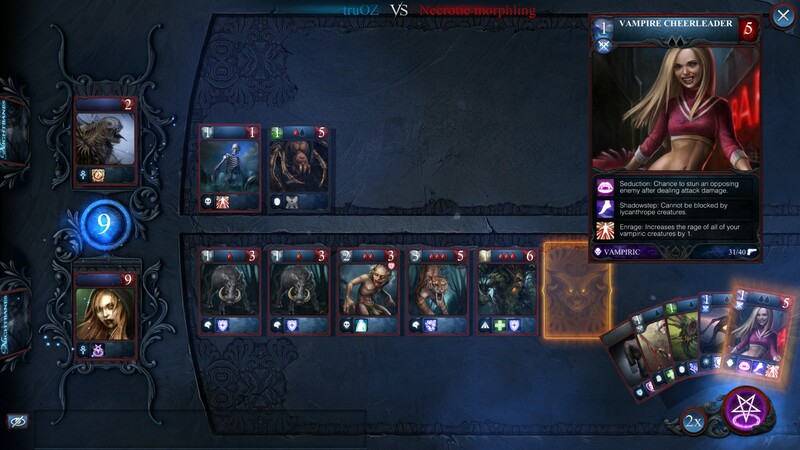 The option is there to battle other lords in PvP modes and quests in the single player campaign to better your cards. I was on the edge about Nightbanes, taking into consideration that the last trading card game I played was Pokemon many moons ago. That being said, I figured I would give this a chance, I do enjoy horror movies. Full of werewolves, mafia bosses, vampires, and a mixture of beasts why wouldn’t I enjoy this? Nightbanes is fun with mechanics that are simple and easy to understand. I’ve played Magic the Gathering, and its rule set is crazy. Nightbanes is nothing like Magic, and I appreciated the simplicity of it. 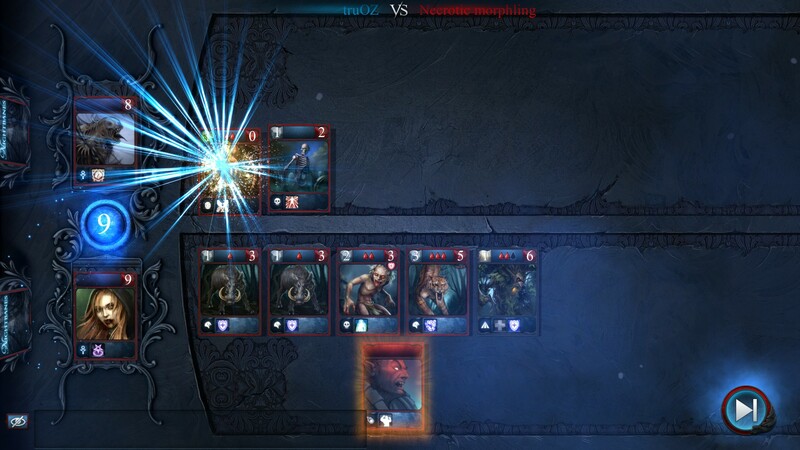 The best feature is vertical combat, where the card you place can only attack whatever is above it. 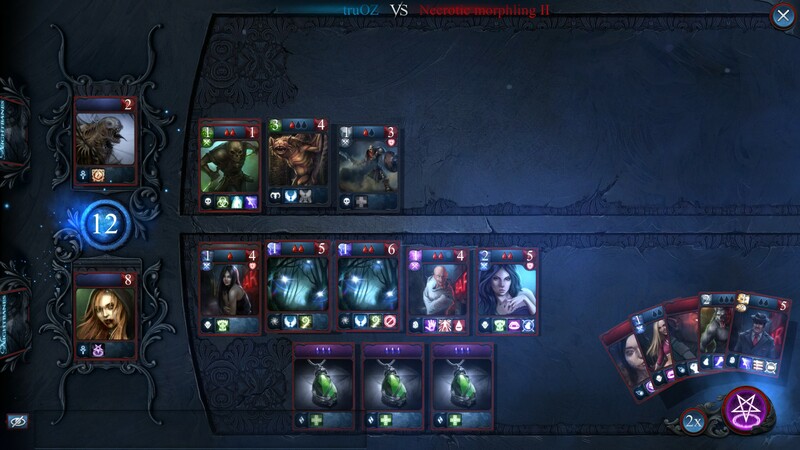 Vertical combat creates a need to strategically plan where you want your cards with high attacks to be. The end goal is to drop your opponent’s Lord’s health by playing minor cards for defense, and high attack cards at the end, made it easy to win almost all of my campaign games. It’s a matter of building a good deck and knowing what the possible outcomes are. 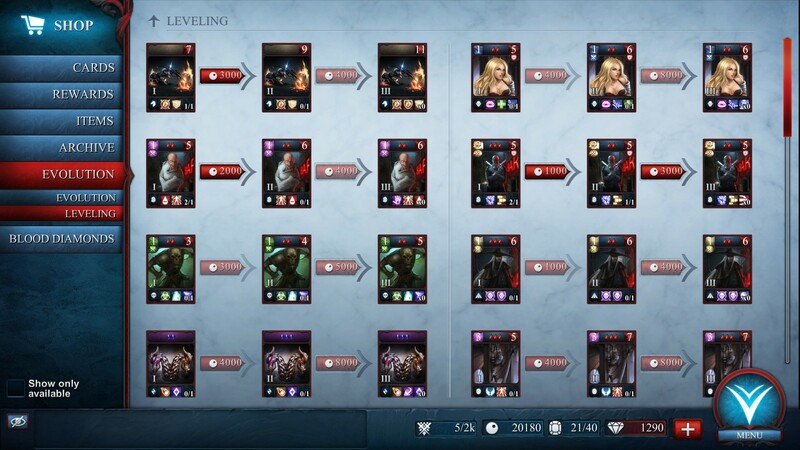 The option to level up and evolve your cards is also unique. Although it can be expensive if you aren’t playing a lot. 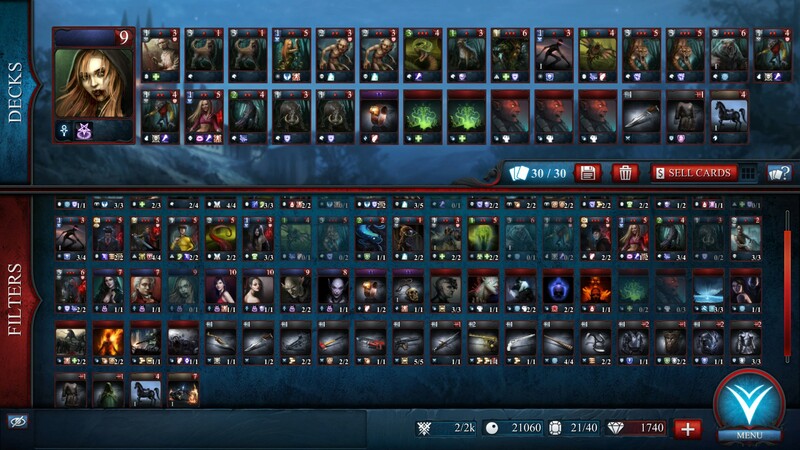 At the end of the day, Nightbanes is a free to play game, and it requires a lot of time to unlock all of the cards. 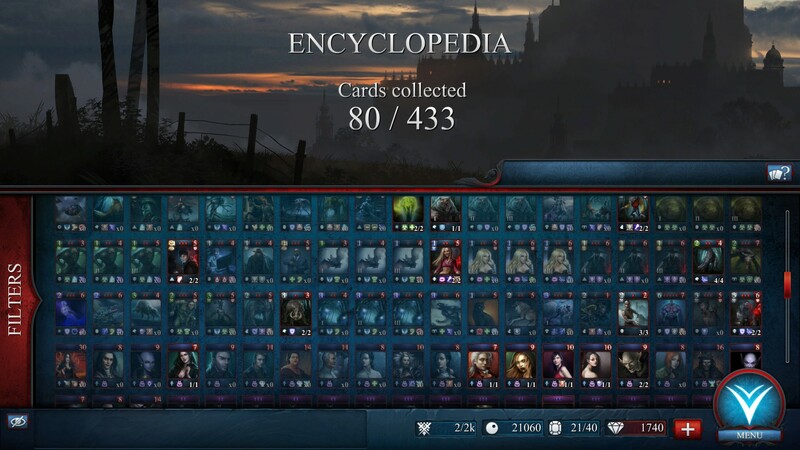 Unlocking cards came easy, but was a task in itself. On average, campaign quests will drop three to four cards, sometimes more if you are lucky with the loot system. 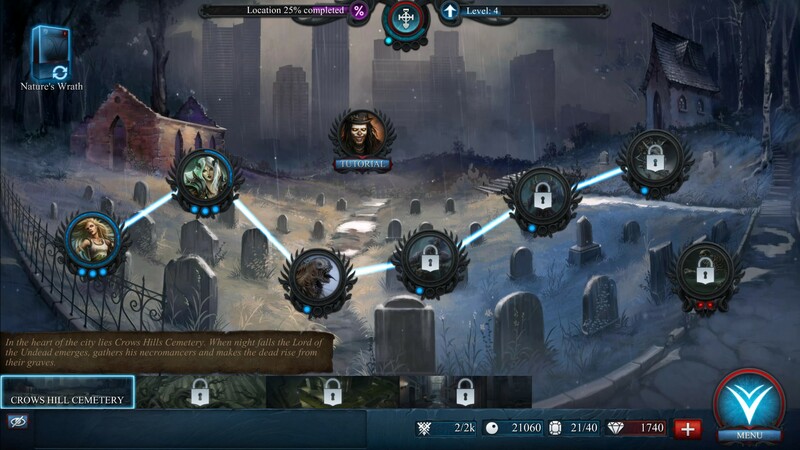 Leveling up and getting faction points is another way to get the cards, but they all seemed to take a while to get to. 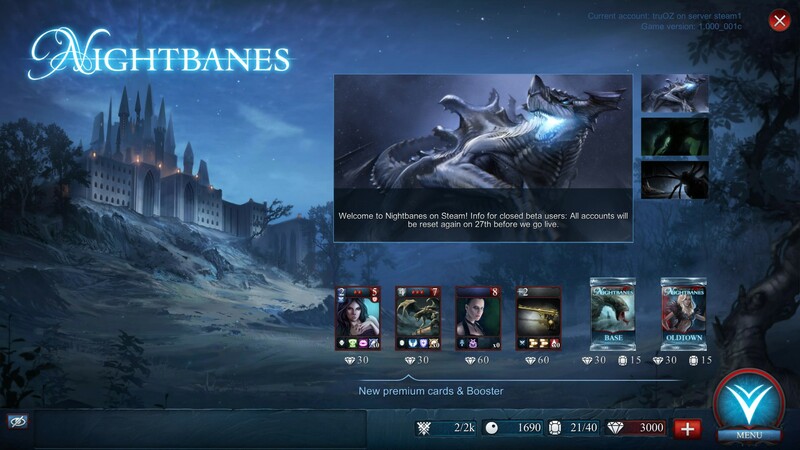 The studio behind the game, Diviad has gone on record saying that every card is attainable by just playing. Exactly how long it would take you to play was undisclosed, but I can only imagine it’s an extremely long time. A lot of the cards are either won by getting high ranks on PvP, or purchased with the in-game currency. That currency is used for everything, leveling and evolving your cards, and it all ranges in the thousands to make such moves. One level might cost 3,000 Blood Pearls to reach Level 2, and then another 4,000 to reach Level 3. That’s just one card, so it better be something you’re aiming to get and not have the ‘collect them all’ mentality. I mostly played Quests, the single player mode. At the time of installing the game, there were very few people playing online so I didn’t get a chance to experience a lot of PvP. I did play a couple matches vs AI, which was the same as playing Quest, but instead of getting Pearls or cards, I got Blood badges which could be used to buy other cards. Unfortunately, I didn’t care enough for this feature to keep at it. I would rather play against other players. That being said, I intend on revisiting the game to also check out another multiplayer mode called Raid. Raid is all about teaming up with your guild-mates to fight against bosses. 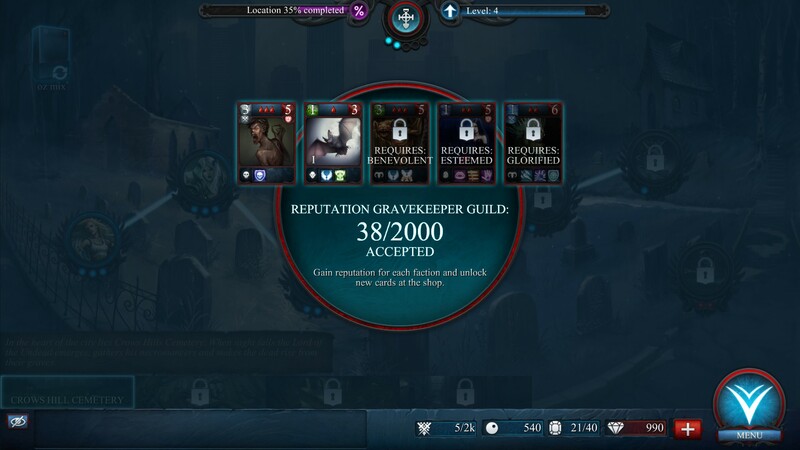 If you’re interested in playing a game that starts you off with a decent deck to get you through possibly 3 bosses in the campaign, then download it. Eventually the enemy makes crazy combinations, which leave you vulnerable and open to a higher loss percentage. If you like deck building and have the mindset of a strategist, this could be for you as well. It wasn’t until I spent a good hour or so understanding the cards I had, that I created a deck powerful enough to get me through a lot of levels in the game. 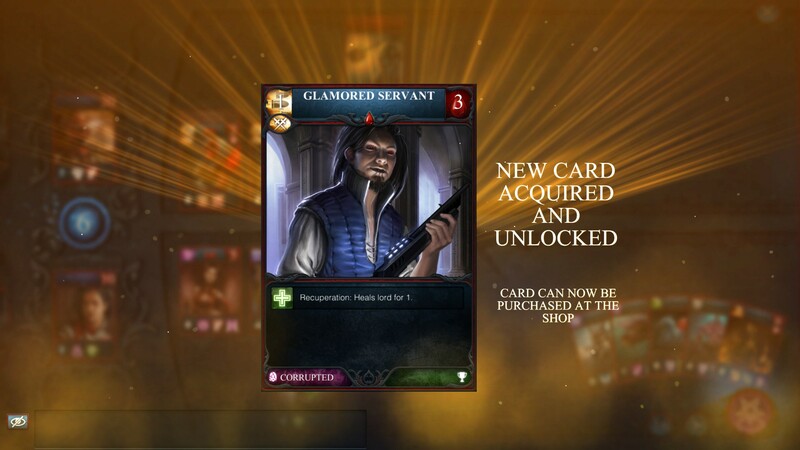 I thought it was a pleasant experience considering I haven’t played a digital card game in a long time. It had a few new mechanics I appreciated, and then again it was simple. I could see why people wouldn’t enjoy it. I wouldn’t really consider it a pay to win as all the cards are attainable, but in reality buying those high level cards will let you win about 80% of the time. Once again, knowing your deck and each card’s ability is a necessity when playing. 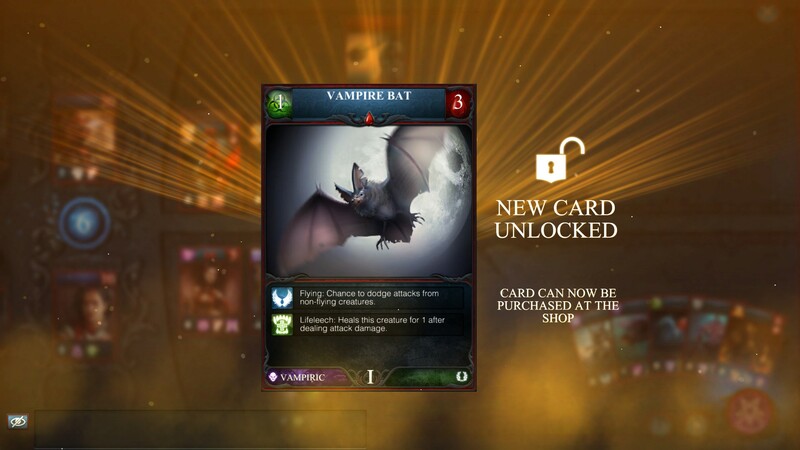 If it wasn’t for Diviad providing me with some bonus credits to create an ultimate deck, I doubt I would have gotten past the first few campaign levels. Get the game now available through Steam! Diviad provided DRULcast with a review token. 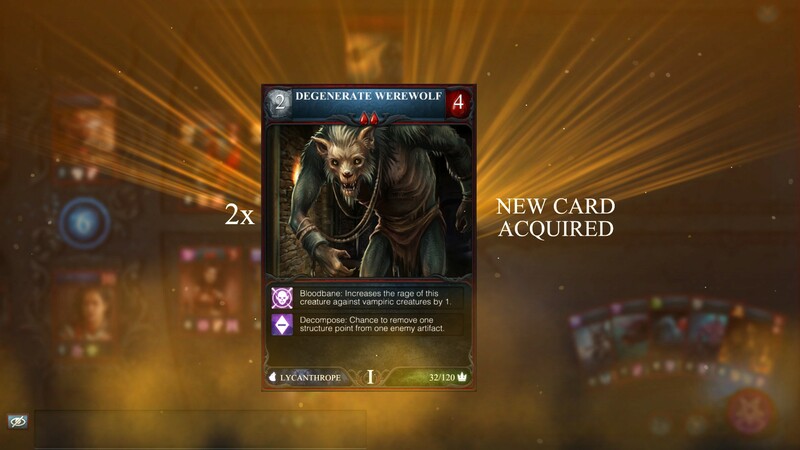 They also provided us with in-game currency to test shopping aspects and advance our decks. Although easy to learn, at the end of the day if your first set up is bad, you will always end up losing. It is all luck based. 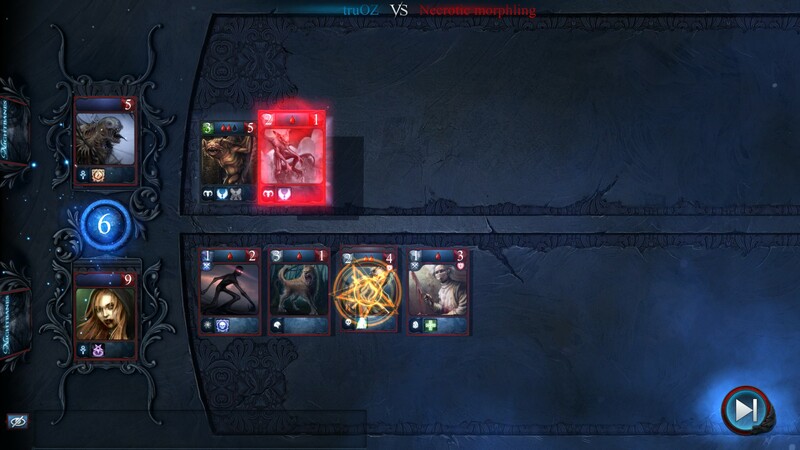 A suggestion for Diviad would be to provide two starting hands and chose which one to go with. This way both opponents start off strong and removes a bit of the luck aspect. It was fun but found myself hitting the fast forward button quite a bit as most of the attacks were predictable.